The service is offering passengers aged 18 and under special £1 bus tickets for one-way journeys on pre-booked CallConnect services across the county from Saturday, July 21 to Saturday, September 1 (inclusive). 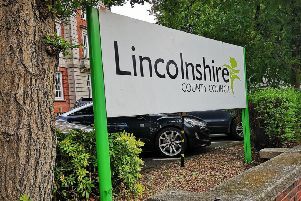 Lincolnshire County Council executive member for highways and transportation, Coun Richard Davies said: “We know that younger people can struggle with transport costs, particular those living in the most out-of-the-way parts of the county. Lincolnshire Youth Council chairman, William, said: “This summer’s £1 a journey is a great way to encourage young people to get out and about. The £1 fares will be available Monday to Saturday during service operating times throughout the whole of the Lincolnshire CallConnect network. Proof of age may be required by drivers such as a passport, citizen’s card, driving licence – for more details call the booking centre on 0845 234 3344, for the Lincolnshire area.